And relaxxxx... with the stresses of everyday life as humans we sometimes forget that we need to stop. Let go of all our worries and problems, enter the world of zen and have some time to ourselves - ME TIME as I like to call it. Everyone relaxes in different ways, whether it be watching TV, cooking, reading or going to a spa like resort. Whatever it might be, do it more often. Take more time for you and start to realise that you need a night off. One of the my favourite ways to do this is having a cosy night in, pampering myself and going to sleep being on cloud nine. First things first, find something to watch. There's no better way to start your evening off than with a TV series to binge/movie to watch. I've just started Lucifer so that's my option for tonight but if you need some inspiration then you can find two lists; here and here. You also need snacks, can't have a night in without food - all the wrong food as well. Doritos, chocolate, ice cream and hot chocolate! The perfect treats for a autumn night in. That's your entertainment set, the food ready now its time to get zen. Start with cleansing your skin to remove anything you've been wearing during the day and then apply a face mask. It doesn't necessarily need to be one that works to get rid of impurities, just one to cool/calm your skin is perfect. Face done now for the body, stress builds up over time in our bodies and you need to be able to let go and relieve yourself of it all. 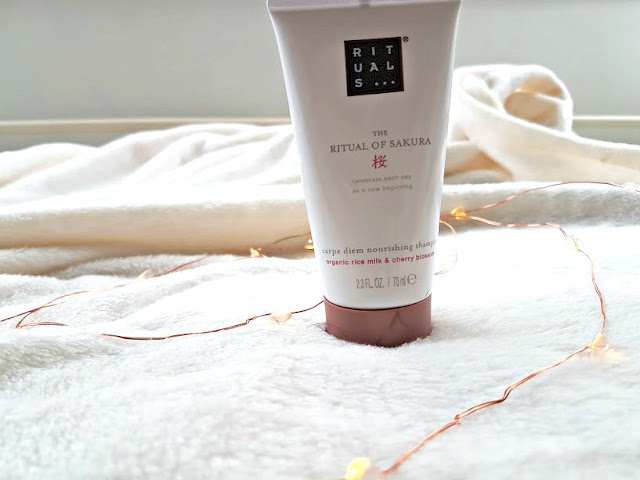 Rituals have got a range out called Sakura, inspired by the Japanese tradition of flowering. Where cherry blossoms or sakura flowers and symbolises that beauty is now and life should be enjoyed. 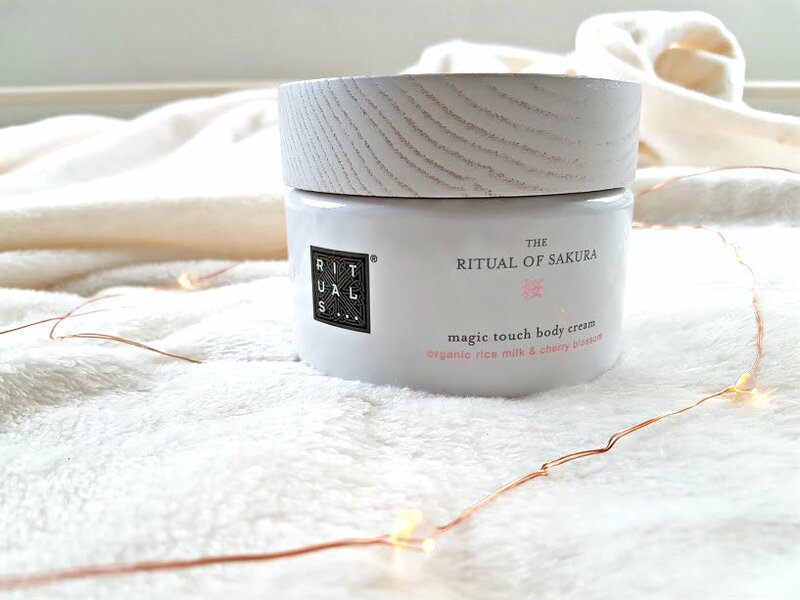 The Rituals range is made from a blend of organic rice milk and cherry blossom - to make each day feel like a new beginning. When my face mask is nearing to the point of cracking, I hop in the shower/bath. 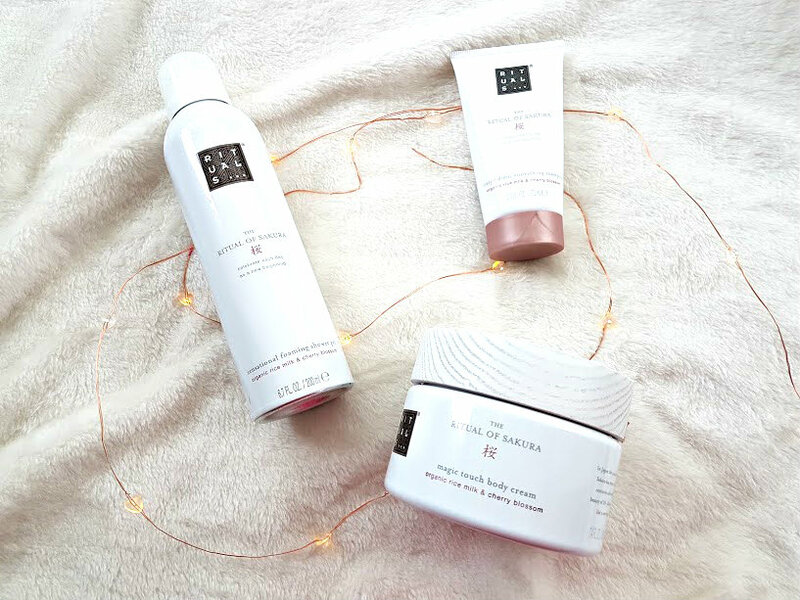 This means that my face has some time to steam and a chance to wash my hair using the Sakura Shampoo (£9.50), a hair product that won't strip the hair of its natural oils, won't leave it feeling sticky and makes it smell amazing. 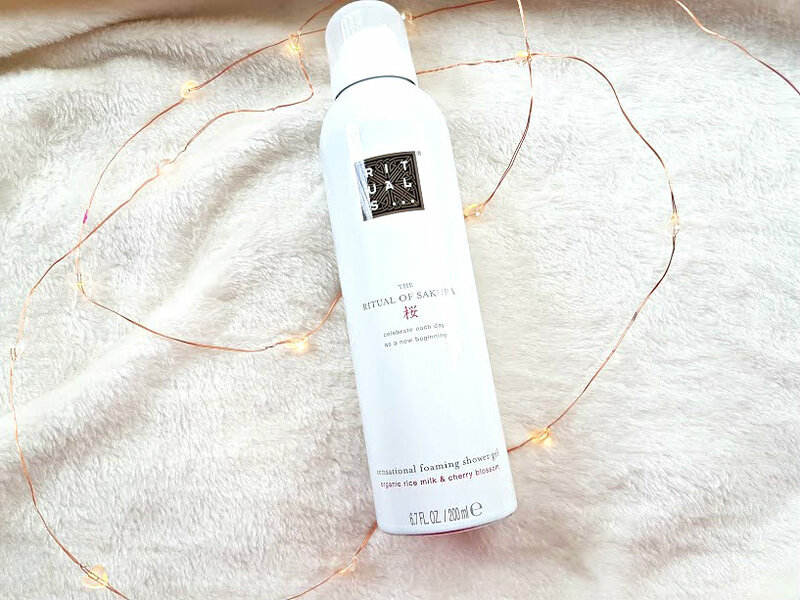 Because my hair is so thick, I need a great deal of this to get a good wash but nonetheless it washes my hair and creates the perfect base for styling it afterwards. The entire Sakura range smells heavenly, it reminds of one of the ghost perfumes that I used to use years ago - oh the memories. Using a foaming shower gel (£8.50) makes life so much easier, it makes you feel cleaner? That sounds odd but trust me, when the soap lathers up you can tell that you are applying soap and can see it physically on your body. 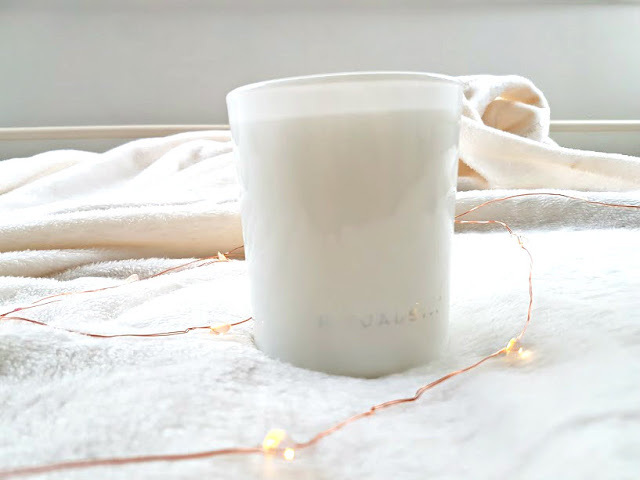 The rice milk ingredient makes the entire range really nourshing and your skin after the shower feels super soft and silky. Following it up with the body lotion (£19.50) makes you feel like your on air. My skin has never been so soft and dry skin free! I've been using this velvetly cream both morning and night and its made me want to wear nothing to show off my skin. Its not only soft but has a sheen to it as well, not greasy but a glow - yes a glow on my body! Once you've got all clean, refeshed and feeling silky its time to get back to the tv and snacks and let the evening take you away. The blossom and rice milk scent is a very sweet scent yet not too strong and overpowering, it comes in different frangrant forms too. The candle needs one light before you can start smelling it all over the house. It has a 50 hour burning time which is crazy for such a small pot! You can also get frangrance sticks as part of the collection, which I need because this scent is incredible. I wish you could smell through the screen! Its safe to say that I am well and truly relaxed. How do you de-stress and relax? Don't forget you need a night off sometimes!